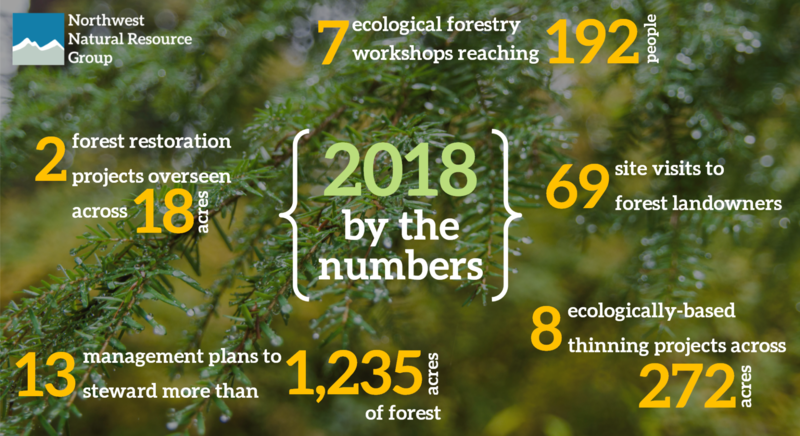 2018 was a productive year for NNRG and the forests our members steward! We are so inspired by the landowners and managers in our community who worked to enhance habitat for threatened and endangered species, removed invasive species, planted a diverse array of native seedlings and shrubs, and pursued new markets for local wood products. These are highlights from 2018.